Unwanted advertisements are being plucked from electrical poles. Electrical boxes, vandalized with graffiti, are being re-painted. And planters, used as trash receptacles, are being cleaned and prepped for spring planting, according to Orlando Cruz, new head of the Downtown Paterson Special Improvement District. “We’ve taken initiative to re-brand the downtown area by focusing on three points: quality of life, beautification, and maintenance,” said Cruz. He was appointed as the district’s manager last month. Antique light poles tagged by miscreants are also being re-painted, he said last week. He is also targeting loud noise and unwanted posters in downtown Paterson. Cruz said the district has hired a company to maintain cleanliness. 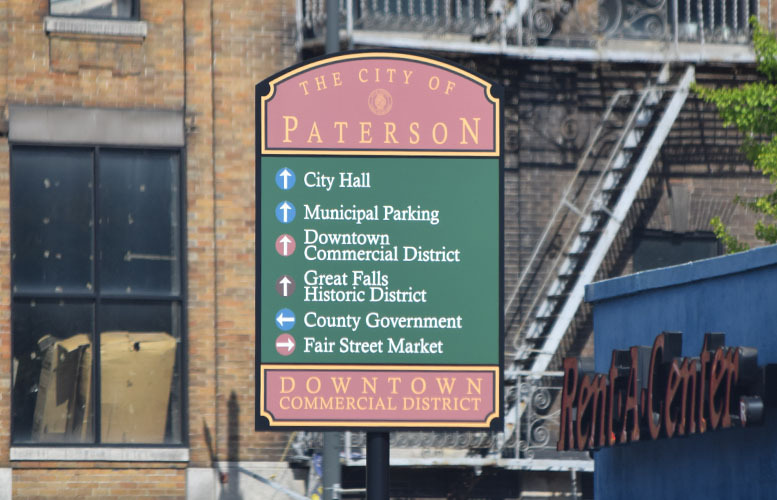 Seven days, employees from the contractors, are working to clean up downtown Paterson. “Graffiti goes up, the next day it comes down,” said Cruz. He distributed a packet of before and after photos to members of the City Council last week to showcase his work. His predecessor faced intense criticism for the district’s failure to clean up downtown. “I have to see you’re doing a phenomenal job. It’s very much noticeable, the removal of the tags and spray painting and apartments for rent on light poles,” said Michael Jackson, 1st Ward councilman. The district is located in the 1st Ward. Jackson urged Cruz to meet with business and property owners to address their concerns. He criticized Cruz’s predecessor, Sheri Ferreira. Ferreira resigned in May 2018 as Jackson held up the district’s $300,000 budget at the City Council. Jackson also complained the district changed the title for the person in charge from director to manager to pay a lower salary to a city resident. America should do a better job taking care of the homeless population here. Cities should do their part also. Kicking them out without a solution will not solve nothing. Please think about some of the reasons why some of these people are homeless .